Let me start with Thanks. 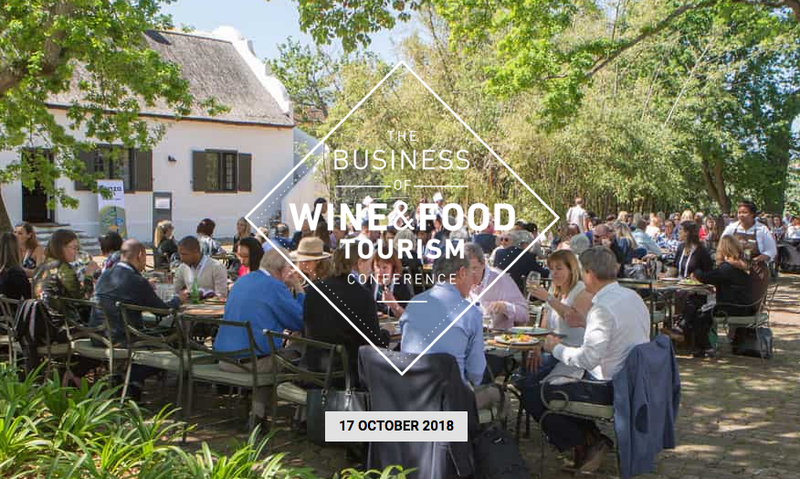 Last week I asked for your feedback and input on data sources in the areas of wine and food tourism, in advance of the keynote I’m giving in a few weeks in Cape Town. And boy, did you deliver! It’s incredibly exciting to flesh out the presentation with hands-on learnings from fresh sources and efforts in parts of the world that, frankly, were brand new to me. That example sets the stage perfectly for what I’d like to focus on this week, and it has to do with collaboration. If we didn’t collaborate, we wouldn’t have a reason to exist. That’s because the true definition of a big data company is to aggregate multiple sources of data across multiple platforms. For us that means building out an ecosystem of data partners who each deliver raw data that’s useful for our clients. In some cases it’s a winery’s own data that’s one of the sources. As I said, it’s about collaboration. In practice, and in a very simplified sense, this is how it works. Listen to the client. Understand intimately the area of research. Draft a scope of work. Iterate the scope, from both sides, in order to extract maximum value and to clarify expectations. Execute the scope of work. Give the client time to process the results, within their own framework for business and at their own pace. Client asks follow up questions. Repeat steps 7 and 8 till the area of scoped research is well understood. Want to see how this looks, from the perspective of our clients? Please have a look at our revised Press page for their opinions in their own words. Here’s what’s important to understand: Collaboration isn’t a one-time interaction. It’s a partnership, back and forth, over a fairly long period of time with a lot of touchpoints. Yes, we’ll get to know each other personally. Yes, we’ll explore ideas that will be new on all sides. And yes, both of our businesses will grow in the process. How can we help you grow? What ideas have been percolating, that you’re ready to move on? We’re here and ready to respond, collaboratively. Thank you, again, for your help and thank you, as always, for reading. That’s the question I’ve been asked to address in a month’s time, during the keynote address at the Business of Wine and Food Tourism conference in Cape Town, South Africa. My first (admittedly selfish) reaction: Cape Town! Cape Town! My second (significantly more rational) reaction: That’s actually three questions rolled into one. How can data about wine help? How can data about food help? How can data about tourism help? What I especially love about the “three in one” factor is that it reflects the true definition of a big data company: to aggregate multiple sources of data across multiple platforms. In other words, pulling together data about wine + food + tourism is what our team of analysts is specifically skilled at doing. So yes, we’ve got sources about wine consumers that we can pull from, that they’re already used to dealing with. The data has to do with behavior, and location, and sentiment, and frequency. And yes, thanks to new friends and local partners, we’ve got additional data about things like hotel/occupancy figures, air arrivals and social media reach. Which is all good, and really exciting. But we know there’s more, particularly when we think about the second part of the request for the keynote content: What can South Africa learn from California, particularly as it relates to the tourism industry recovering from a natural disaster? In California, it was last year’s wildfires and the drought before that. In South Africa, it’s their drought also and reports of a water shortage that has crippled tourism efforts and reservations. Plenty of similarities, and lots of lessons to be learned. What sources of data do you know, who could contribute to our analysis? Where, in California or elsewhere, can we turn for quantifiable “lessons learned” that are helpful and worth sharing? We’re open to suggestions, and I’d love to feature the knowledge of these sources in my talk. Here’s my cell phone number and email: +1.702.528.3717 and cathy@enolytics.com, and I’ll actually be in Sonoma this weekend, all the way until Tuesday, in case you’re local and would like to meet up in person to talk.